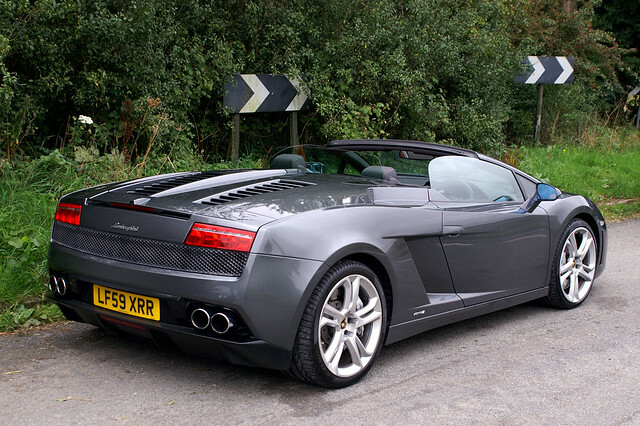 As an early birthday present to myself I booked a driving day with Dream Car Hire where I got the opportunity to drive an Audi R8 V10 Spider, Bentley Continental Convertible, Aston Martin DBS, Audi R8 V10 Coupe, Porsche 997 Turbo (Mk 2) and Ferrari F430 on the public roads. I was scheduled to drive the Ferrari F430 at the start of the day, but if had come back the previous day with an engine warning light and was taken straight round to the local Ferrari dealership for some TLC, so I started the day in the Audi R8 V10 Spider. 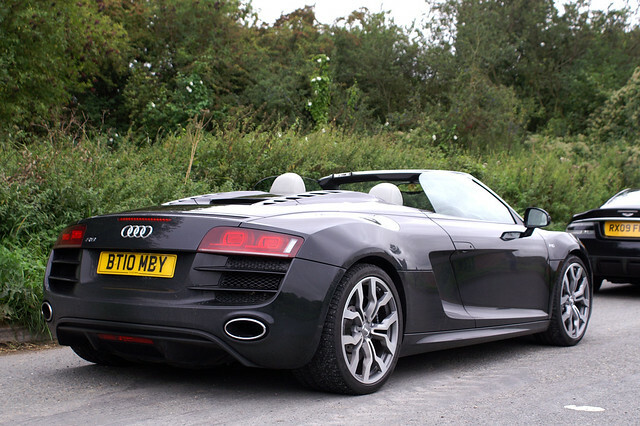 The Audi was beautifully finished, easy to drive and the V10 engine made a great noise. Unfortunately a light rain shower began shortly after setting off and I had to pull over to deploy the electronic roof mechanism. As I got more used to the size and performance of the car I began to feel more confident in pushing harder, but a couple of times I hit a pot hole mid corner, which made the car feel as if the chassis was twisting and not a rigid as I would have liked it to have been. Lots of fun and a great start to the day, but I was sure there was better to come. The footballer’s car of choice was surprisingly rapid, but you really felt the weight in the corners and under braking. The seats were so soft you just sank into them like a sofa. The car to pick if you want to drive hundreds of miles in comfort, but couldn’t help feeling I was about 30 years too young for it! 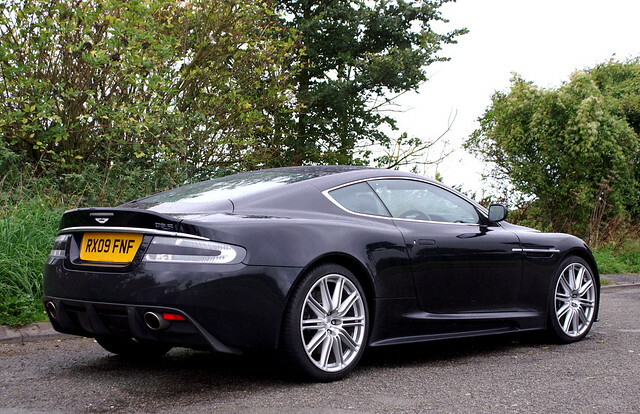 Having not driven an Aston Martin before I was looking forward to being “James Bond” for an hour, and the DBS did not disappoint. It was the only manual car on the day, which after having driven two cars with paddle shifts that morning, took a little getting used to. The DBS was the most beautiful and elegant of the cars, and the interior was a fabulous mix of aluminium, carbon fibre and suede. The V12 engine had so much torque you only needed a couple of gears for driving on the public roads. Unfortunately the ride was hard, I think I described it as wooden, and the steering lacked feedback, which make handling the big Aston a challenge in the slippery conditions. 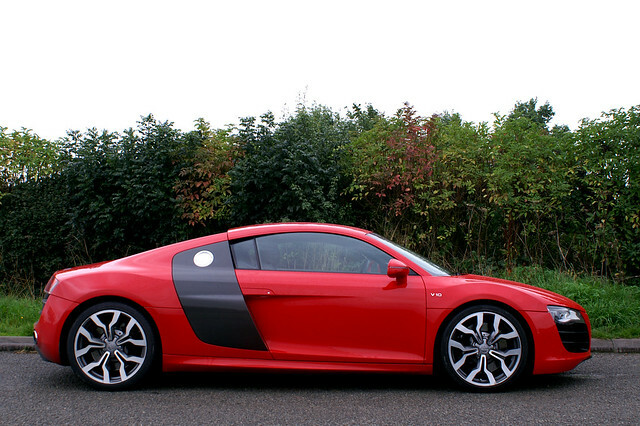 Having driven the R8 spider in the morning I was keen to see how the bright red V10 coupe compared. Overall the cars were very similar as you would expect, however there was a clear split in the group between those who preferred the spider and those who preferred the coupe. For me, it was the coupe every time. The chassis felt stiffer, the steering more accurate. For me the styling of the spider which has lost the signature side blades, looks slightly oddly proportioned. Whereas the coupe in bright red with the contrasting carbon fibre side blades looked stunning, and was at this point my favourite car my some margin. I’m not really a Porsche 911 fan apart from the GT3, but everyone who had driven the Turbo in morning was raving about how good it was and that it was the fastest car on the day. So as I set off for my penultimate drive of the day with “super sport” mode engaged during the heaviest rain of the day with some trepidation. But I needn’t have worried, the famous 911 rear engine traction was evident straight away. Susan and I were both very impressed by how compact, agile and composed the 911 was, it’s a real focused drivers car make no mistake. It was ferociously quick in the wet, so it much be absolutely stunning in the dry. The Ferrari made a return at lunch time and in the 6th session of the day I got to experience my first Ferrari on the road. This particular F430 had covered 60,000 miles, which must be something of a record for a Ferrari, and were certainly some rattles and squeaks from the cabin. The Ferrari was the most challenging car to drive quickly, and did make the best noise. However, I don’t think this particular example gave the best demonstration of what Ferrari have to offer. The release of the F458 has already made the F430 look dated, and compared to the Audi and Aston Martin the fit and finish leaves plenty room for improvement. The one that got away. I was scheduled to drive the Gallardo for the final session of the day, but unfortunately it picked up a puncture during the second session in the morning and had to be transported back to the DreamCarHire HQ on a lorry and didn’t make it out again. Not sure how much a set if rear tyres for a Gallardo is (sure it’s not cheap), but I guess that gives you a reality check on supercar ownership. 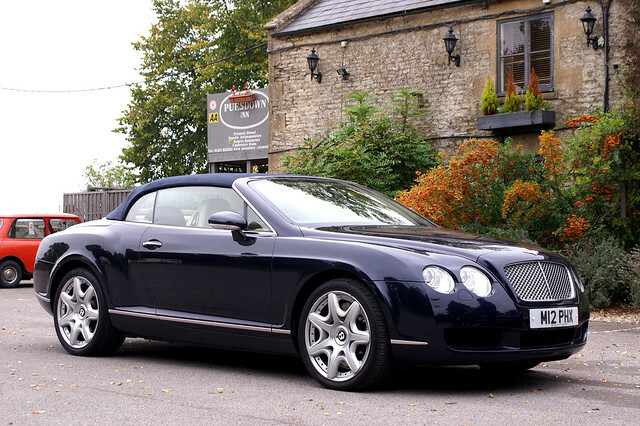 However, I am going to be back to try this car at some point in the future to see if it can beat the mighty 911 Turbo. They also have a very tasty looking Porsche 911 GT3 RS which looks very tempting! Which one would I buy if I win the lottery? Overall, an amazing and very enjoyable day, but as you can probably image it was not a cheap day out, but for me it was easily worth the money. So if I win the lottery this weekend and I had to pick one, which would it be? 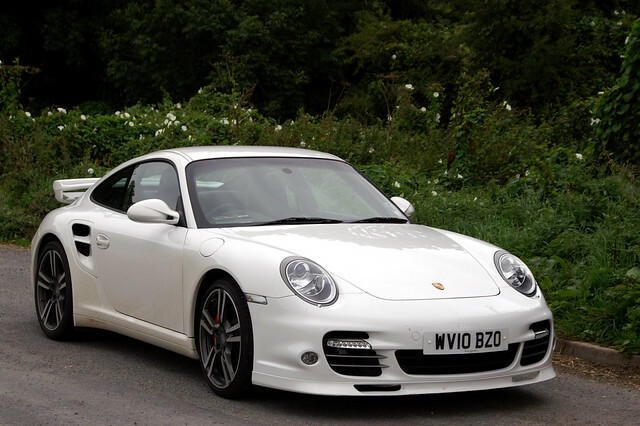 Well on the basis of today it would be the Porsche 997 Turbo (Mk2), closely followed by and Audi R8 V10. But with the new Ferrari F458, Mercedes SLS and McLaren MP4-12C coming soon you will have plenty of options if your numbers do come up.